Struggling to keep manuscript-related emails organized? There's an easier way! Start and store all peer review communication right on Scholastica using manuscript Discussions. 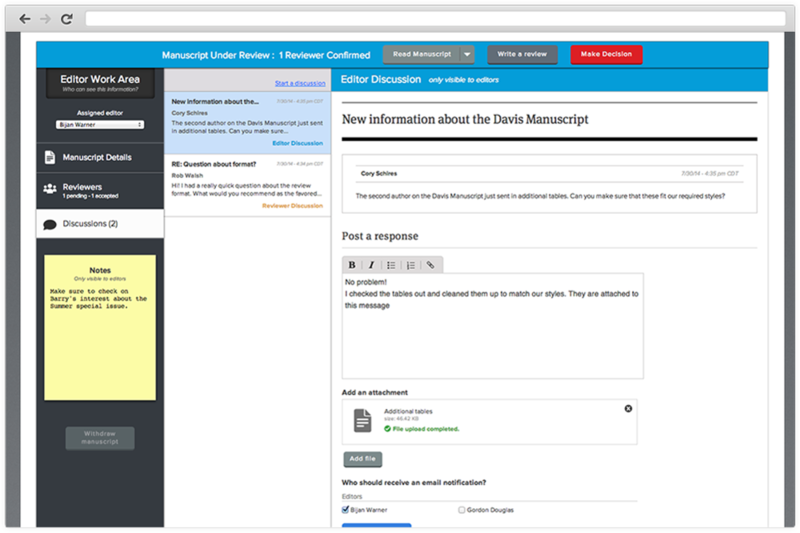 You can send a Discussion message to anyone — reviewer, editor, or author - and all responses to that Discussion will be saved on Scholastica, next to the manuscript it’s about. View and respond to Discussions on Scholastica or via email. 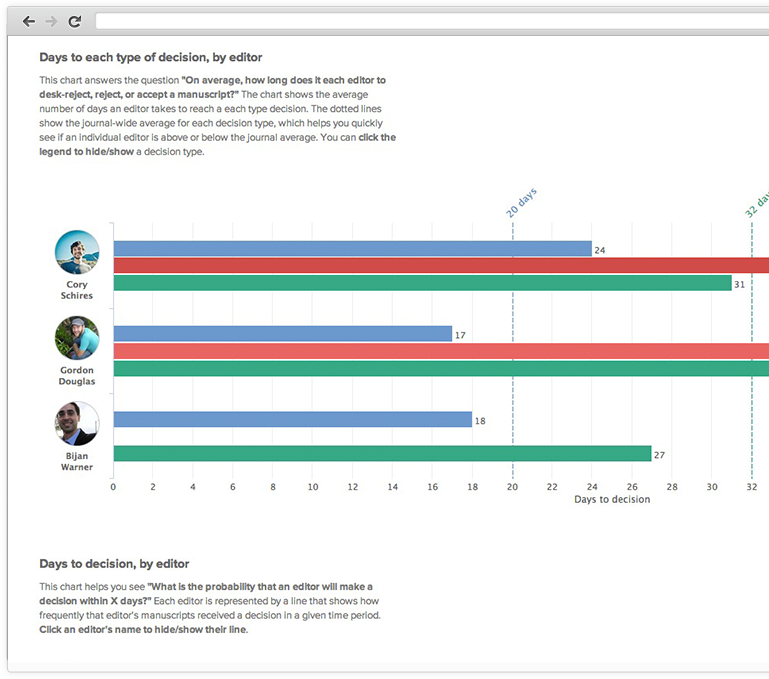 You can also use customizable message templates to quickly send recurring communications, such as reviewer invitations and author decisions. Need to add or update files for a submissions? — no problem. With Scholastica editors can add and edit files to their hearts' content! 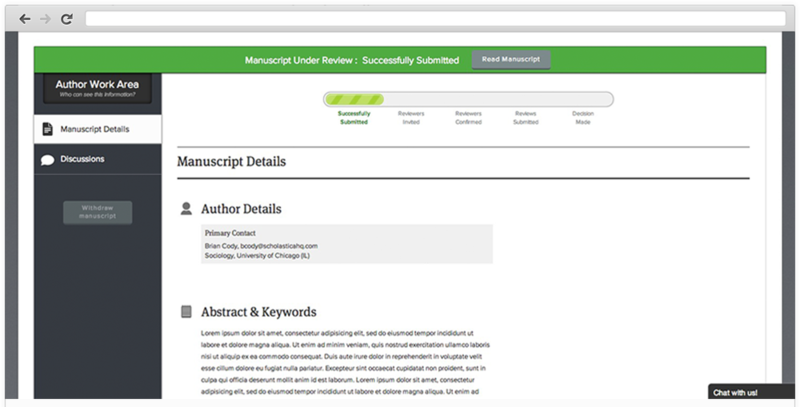 Keep your authors, editors, and reviewers on track with automated notifications for assignments and deadlines including article assignments, review requests, R&R requests and more. Easily designate single and double blind submissions and specify the information authors and reviewers are able to see, to ensure that everyone only has access to what they should. Help your authors stay on top of their submissions by enabling automatic author notifications. Notifications let authors know when their papers have been received and where they are in peer review. Plus new features all the time! Check out all the New Features posts on our blog!